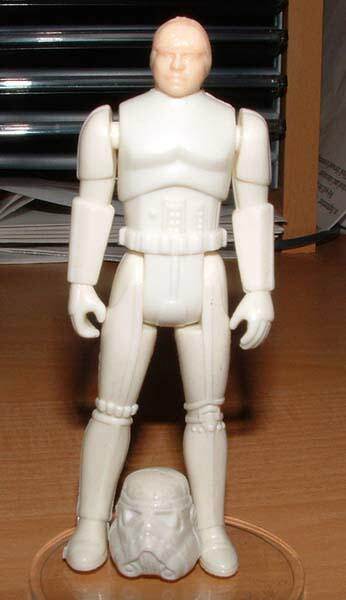 The POTF Luke Stomtrooper prototype shown here is interesting in a number of different ways. It is referred to as a first shot or test shot and was typically utilized to test the steel production molds prior to commencement of the figure's production run. 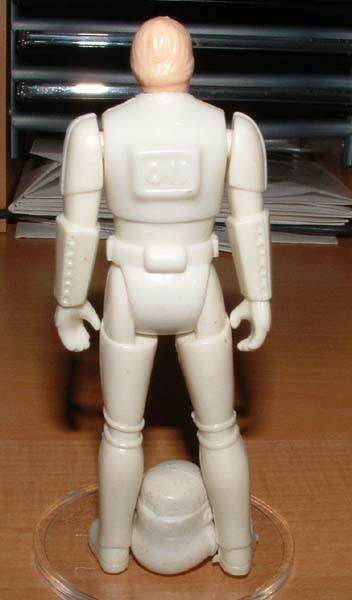 As is glaringly apparent from the photos, the first shot figure and helmet both lack all paint detail. The copyright information, usually found on the figure's leg is also absent, a characteristic commonly associated with the first shot stage of the production process. Above we see a rear view of the first shot. Finally we see a view with the helmet placed on Luke's head. Prototype collectors enjoy seeking out first shots exhibiting apparent differences from the production figure, and this one certainly fits the bill with its absent paint detail. 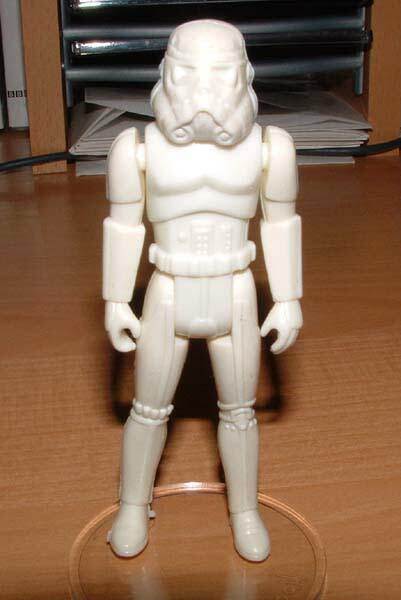 What makes this first shot even more special and coveted is the popularity of the Luke Stormtrooper figure and its presence in the POTF line.